Hand made in Melbourne by Tess & Rae. 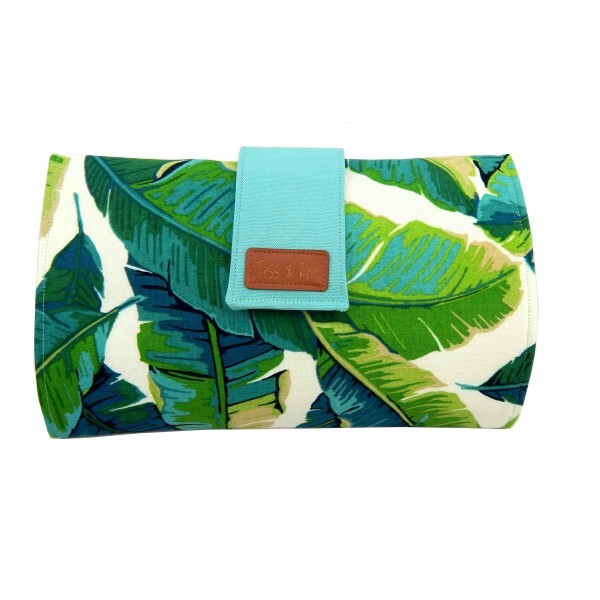 Made with quality waterproof cotton laminate (BPA, Lead and Phthalate Free) fabric for easy wipe down on inside and contrasting designer cotton print on outside. Padded with fleece for comfort. 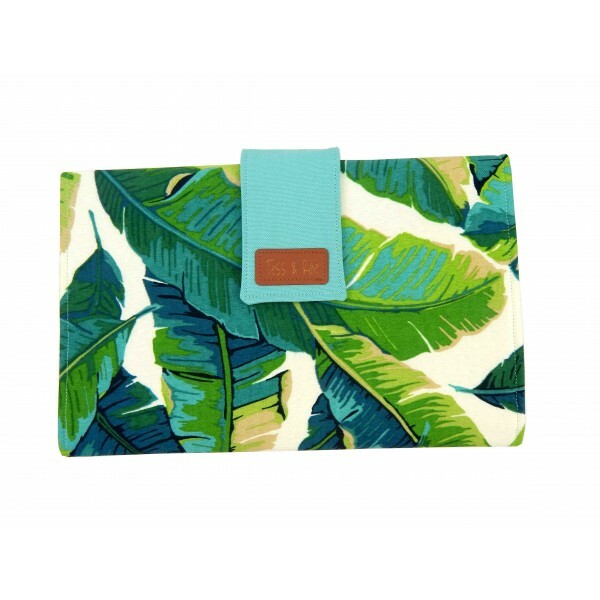 Folds neatly into a stylish clutch. Eliminates the need to carry around a large nappy bag. See our other items for more colour/ pattern combinations or speak to us about a custom order. Makes a lovely baby shower gift. Care instructions: Cotton laminate can be wiped down with warm soapy water and left to dry. Outer side can be ironed gently with warm iron. Do not iron over label or velcro. Please allow 5 working days before dispatch.